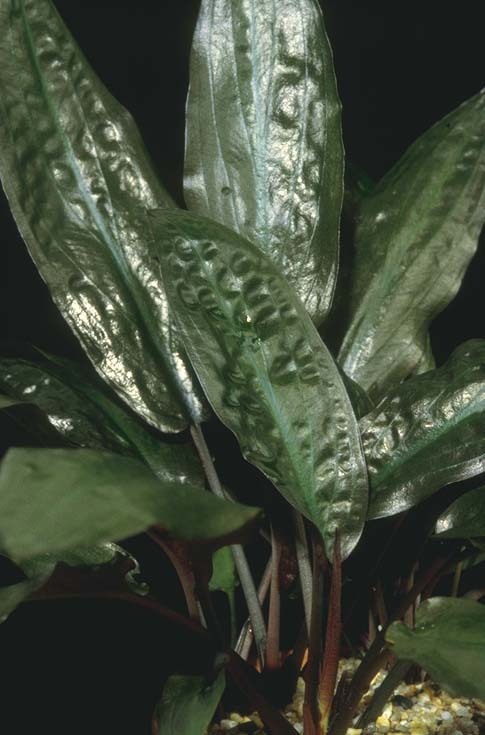 Cryptocoryne annamica is first collected by Orlov, a herpetologist from St. Petersburg university, in Central Vietnam in the Gia Lai province. Plants were brought to the Moscow Botanical Garden where it flowered for the first time. 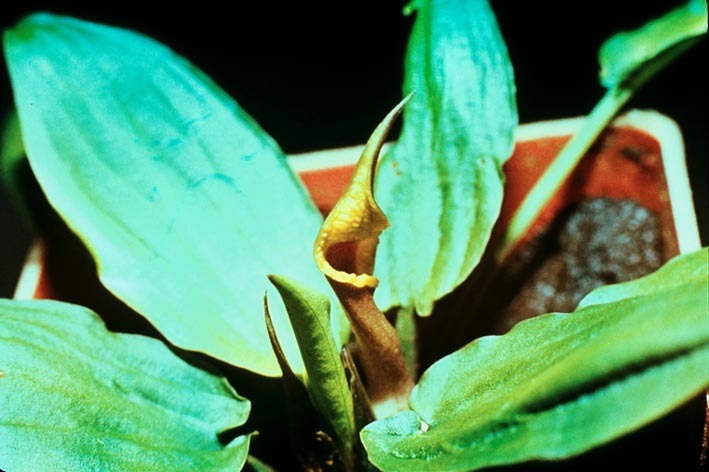 Serebryanyi (1991) recognized it as a new species but apparently was not aware that it was from Gia Lai and ascribed it as from Da Nang, the locality of the famous sterile plant ever collected by Clemens in 1927. 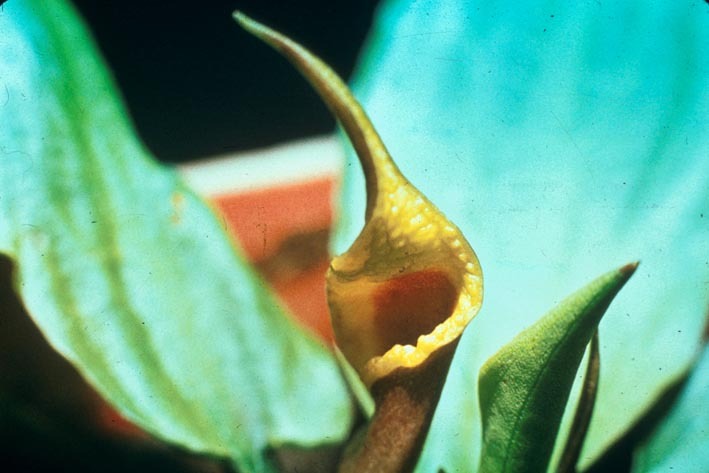 In 1994, Hertel and Muehlberg were able to find the Da Nang Cryptocoryne and described it as C. vietnamensis. Both plants are quite similar, with bright green, smooth leaves when grown emerged and with dark green / brownish, bullate leaves with a purple lower side when growing submerged. 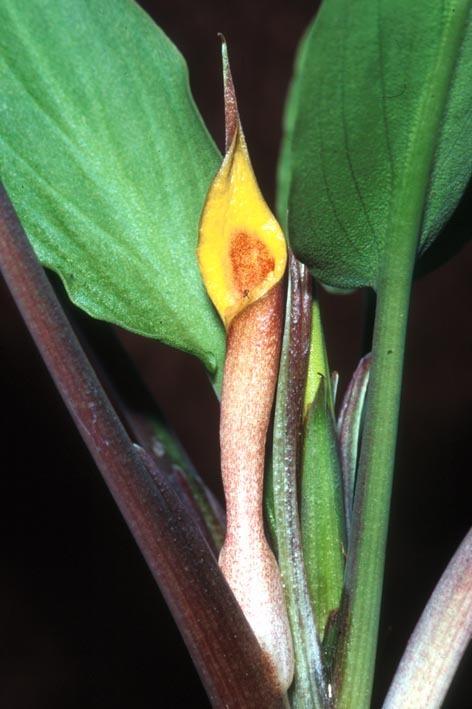 The spathes however are very distinct. Photo of the type of C. annamica. 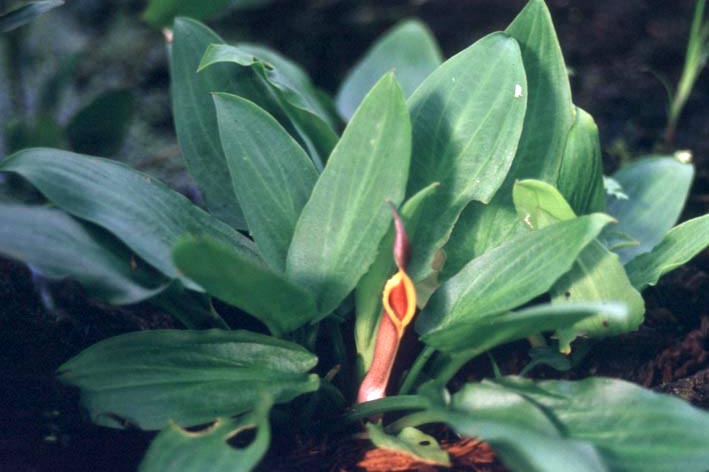 The plant was collected by Orlov and grown in the Moscow Botanical Garden. photo Shelejkovsky The limb is a bit rough and has some denticulations on the edge. photo Shelejkovsky The plant was also grown by Bogner in the Munich Botanical Garden. The limb ends more or less with a tail. 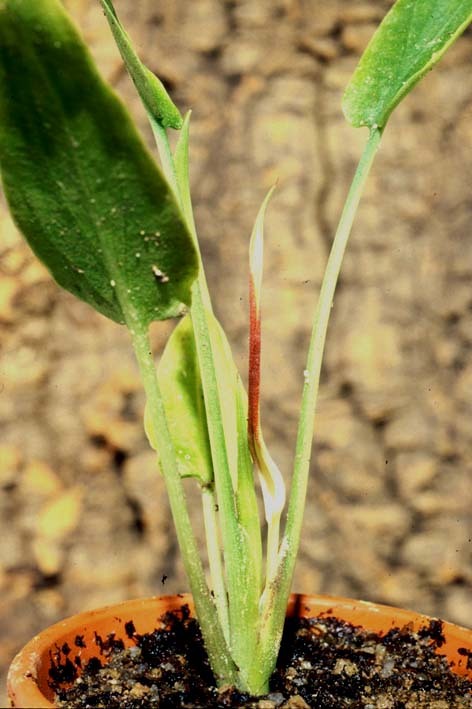 Note the bright green leaves. Another green leaved C. annamica. 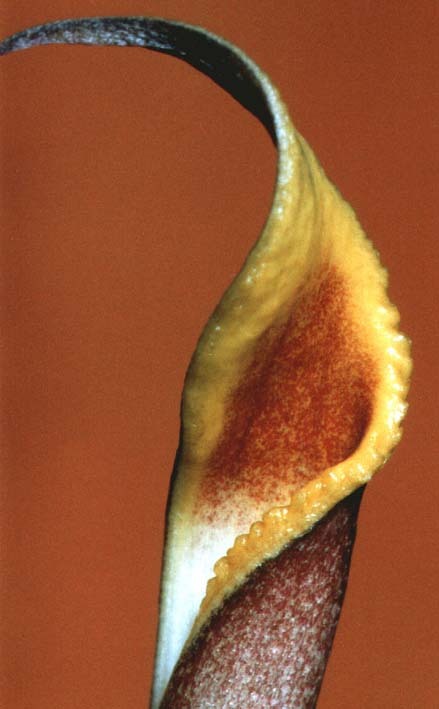 The limb of the spathe stands upright. The throat is even more spotted. photo van Wijngaarden An amazing picture of an emerged cultivated C. annamica by Piet van Wijngaarden. The leaves are dark green and are slight bullated, as if it was grown submerged. photo van Wijngaarden Even more astonishing is this picture of C. annamica. The lower side of the leaves are dark purple.No doubt it is the same C. annamica! photo van Wijngaarden These plants are C. vietnamensis, collected by Josef Bogner. Left (green) an emerged, right (brown bullate) a submerged grown specimen. C. annamica has the same behaviour. An unexpected behaviour of C. annamica. This plant was treated with gibbelerine acid to induce flowering (I don't use that, I got the plant). This leaf has some resemblance to a spathe. coll. Orlov s.n., cult. B 694 The kettle of C. annamica shows the usual structure of a Cryptocoryne. photo van Wijngaarden The famous herbarium sheet of Clemens from 1927. 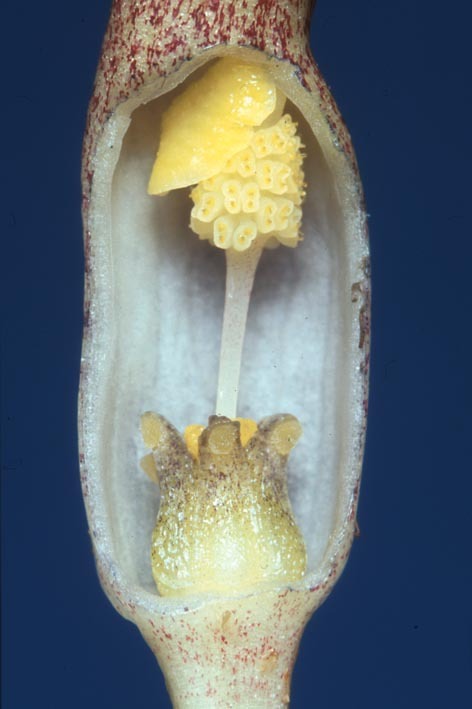 Serebryanyi assigns it to C. annamica, but it is C. vietnamensis. The sheet has no inflorescences. herbarium Paris Distribution of C. annamica in the Gia Lai province, Central Vietnam. 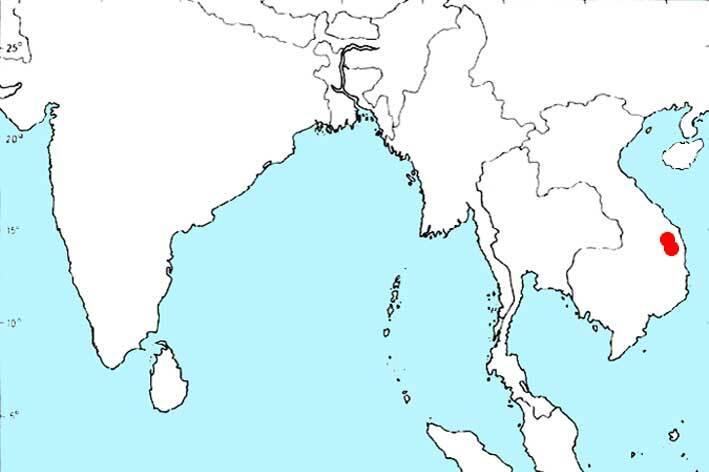 C. vietnamensis grows north of it near Danang. 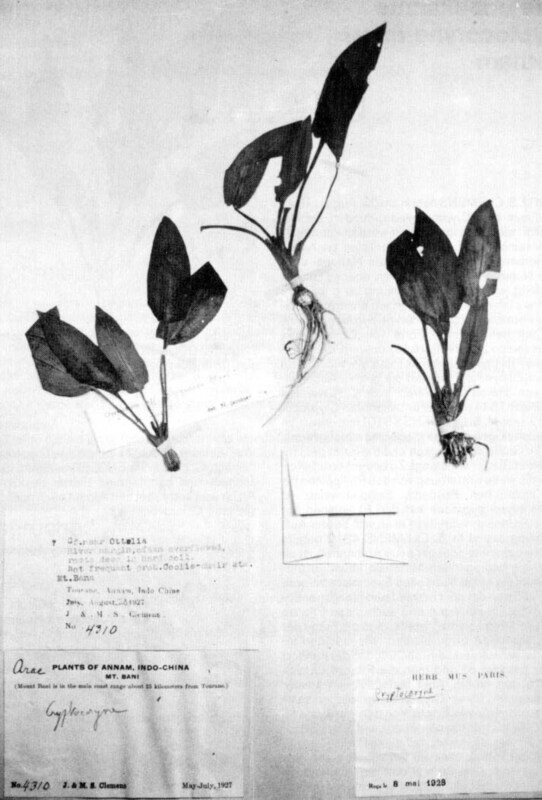 Probably all plants in cultivation are descendants from these from the Moscow Botanical Garden. 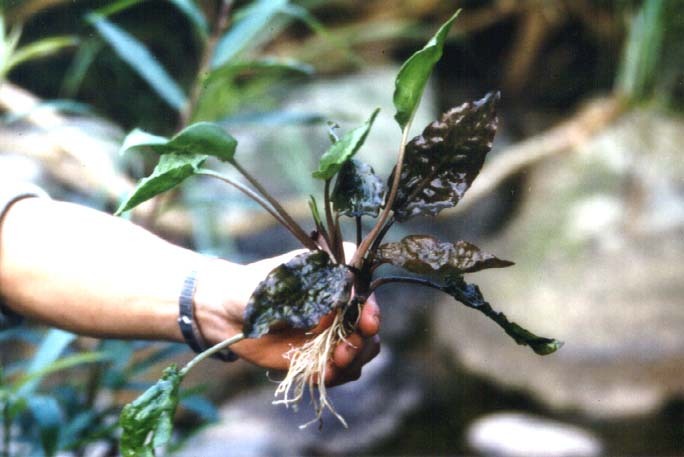 Cryptocoryne annamica is rather easy to grow. However, it does not propagate very fast and it flowers not so often. At 'normal' conditions the plant is quite like C. vietnamensis, may be a bit shorter. Bogner, J., 2001. Cryptocoryne annamica Serebryanyi. Aqua Planta 26(1): 25-28. Bogner, J. & Jacobsen, N., 1984. Eine unbekannte Cryptocoryne aus Vietnam. Aqua-Planta 3-84 : 19-20. Hertel, I.& H.Mühlberg, 1994. Cryptocoryne vietnamensis spec.nov.(Araceae). Aqua-Planta 2-94 : 76-81. Kobayashi, K.,2004. Cryptocoryne annamica. AquaLife 2004-8: 132-133, 136-137. Machlin, M.D., 1995. 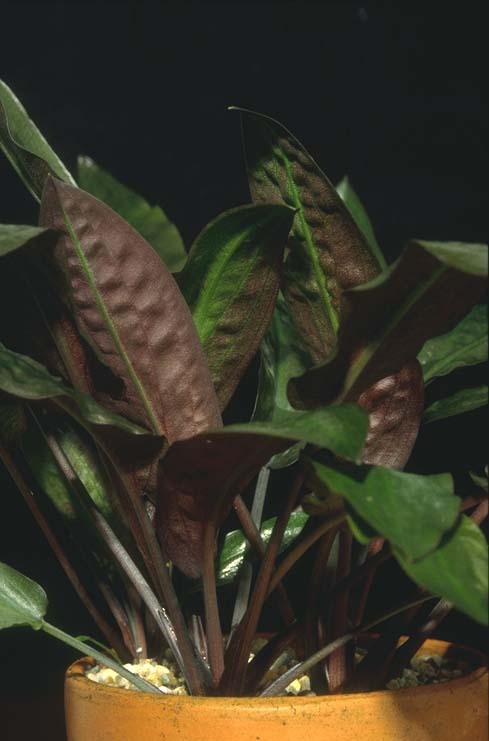 Noch eine Cryptocoryne aus Vietnam? Aqua-Planta 1-95 : 40-41. Machlin, M.D., 1997. Weitere Cryptocorynen aus Vietnam. Aqua-Planta 22(1): 3-6. Machlin, M.D., 1998. Akvariumny sad (The Aquarium Garden). Moscow, Nature, 1998. ISBN 5-93080-001-4. Serebryanyi, M., 1991. Eine neue Cryptocoryne-Art aus Vietnam. Aqua-Planta 3-91 : 98-101. Wijngaarden, P. van, 2002. Cryptocoryne annamica Serebryanyi, eine interessante Art aus Vietnam. Aqua Planta 27(2): 67-71.